Mac Demarco announces new album Salad Days out on Captured Tracks on April 1. New tour dates and single premiered! We’re very excited to announce the next album from rising star Mac Demarco, Salad Days, out on Captured Tracks on April 1. 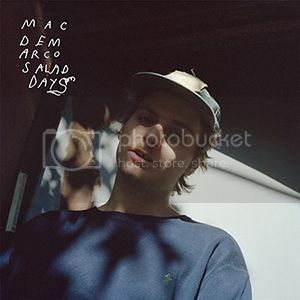 Written and recorded around a relentless touring schedule, Salad Days gives the listener a very personal insight into what it’s all about to be Mac amidst the craziness of a rising career in a very public format. As you read this and as you hear the album on April Fool’s Day of this year, he’ll probably be on tour, or preparing for one… or maybe already writing new music. A relentless work ethic is something to be admired in today’s indie music scene, but when it’s of the quality Mac is giving us time and time again, it starts to turn from admiration to awe. Mac just announced new world tour dates including North American, European and South American tours. You can find those dates here. Check out his new single Passing out Pieces here along with his promo trailer for Salad Days. More dates to be announced soon. Happy New Year! 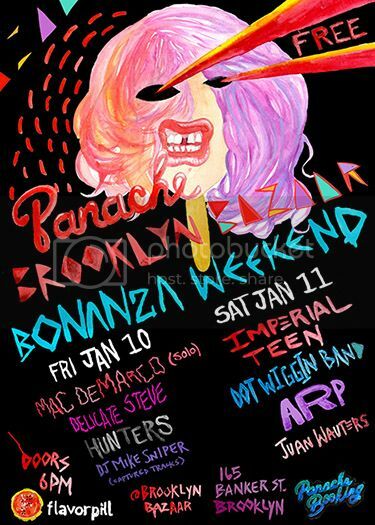 Panache is excited to ring in the new year with two Panache curated evenings at Brooklyn Night Bazaar on Friday Jan 10 & Sat Jan 11, 2014. Our Panache Bazaar Bonanza weekend will feature performances by some of our favorite artists: Mac Demarco doing a very special solo set, Imperial Teen, Delicate Steve, Hunters, Dot Wiggin Band, Arp, Dj Mike Sniper & Celine Dijon. We’ve teamed up with Flavorpill for the events, and are excited to start 2014 with a bang ! Stop by, escape the snow, pick up some panache schwag and check out some awesome musical vibes. Both nights are free, open to the public, you can also RSVP here.